Play Arctic Race™ online for free now! Embark on an arctic adventure that takes you to snowy landscapes and spectacular mountain ranges in our online casino! 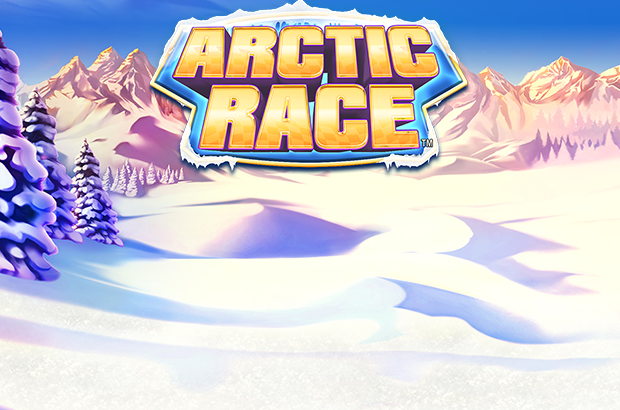 In Arctic Race you take on the mantle of a daring sledder who, with a little luck, slides towards wintery winnings! This slot simply looks incredible. And what's more, you can also play in All Pay Mode on 5 reels: this means that you play on incredible 243 winning paths! Moreover, if you win enough trophies with the NOVOMATIC logo you might earn free games. You win in the slot Arctic Race if you line up 3 to 5 matching symbols side by side on one of the winning paths. The Dog symbol (Wild) substitutes for any other symbol to provide winnings. The Trophy can land on reels 1, 3 and 5 and as a Scatter symbol trigger at least 3 free games if it lands at least 3 times. The Trophy Respin Feature is triggered if you reach the free games. Then, your job is to collect Trophies to bag even more free games and bonus wins. Each time you land more Trophies the Free Game counter is reset to 3. When you have no more Free Games at your disposal you collect your Twist wins and return to the main game. Live like a casino adventurer on your computer, mobile or tablet. Arctic Race is a groundbreaking Novoline slot brimming with awesomely animated symbols and incredible chances of winning. 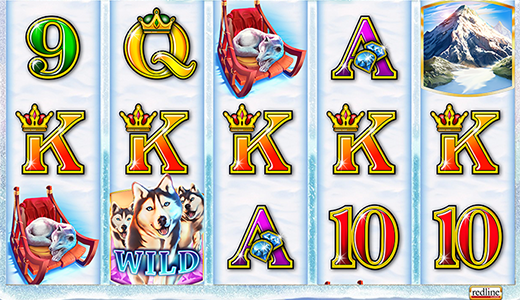 What's more, this slot looks superb on any screen and makes you feel like you were just beamed to a winter wonderland. Wanna play Arctic Race? This is just one of many ways to have a great time at GameTwist! Our online casino features hundreds of slot machines with a wide selection of themes and opportunities ranging from fruit slots and Vegas classics to cutting-edge games. Moreover, time and again you can play our slots as part of exciting promotions. Our slot battles where two slots compete against each other are a crowd pleaser. There's no doubt about it: we have just the game for you! Enjoy Arctic Race online now or browse GameTwist and discover our wide range of iconic games. And who knows, you might soon come upon your personal favourite!